SANAA: Yemeni rebels on Sunday boycotted a meeting chaired by the head of a UN-led ceasefire monitoring team in the flashpoint city of Hodeida, accusing him of pursuing “other agendas”. Huthi rebel negotiator Mohammed Abdelsalam said Cammaert “steered from the course of the agreement by implementing other agendas”. “If (UN envoy to Yemen Martin) Griffiths does not address the issue, it is going to be difficult to discuss any other matter,” he said on Twitter without elaborating. 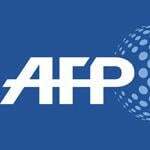 An AFP photographer said that the Huthi representatives did not take part in the committee meeting in Hodeida on Sunday.The UN declined to comment. Clashes erupted between Huthi rebels and government forces in Hodeida on Saturday, dealing a new blow to the fragile truce. But last month the warring parties agreed a ceasefire for Hodeida during UN-sponsored talks in Sweden.The United Nations has said the truce has largely held since it came into force on December 18 but there have been delays in the agreed pullback of rebel and government forces. The Huthis control most of Hodeida while government forces are deployed on the southern and eastern outskirts.Since the Saudi-led military coalition intervened in support of the government in March 2015, the conflict has killed nearly 10,000 people and unleashed the world’s worst humanitarian crisis, according to the United Nations.UN aid officials say 80 percent of the population — 24 million people — are in need of aid and nearly 10 million are just one step away from famine.